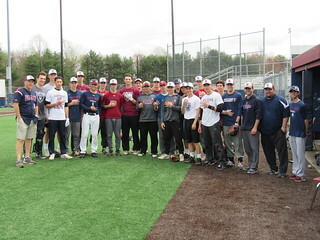 Eastern Regional baseball coach Rob Christ (far L) earned career win No. 300 (at ER) on April 11 with a 3-0 triumph at Washington Township. Counting six seasons (1996-2001) at Gateway, his total stands at 404-151.